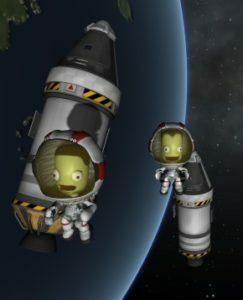 The Kerbals themselves are a little wacky and somewhat slapstick, which adds to the charm as far as I’m concerned. The idea of these little creatures exploring space just for the sheer unadulterated fun of it in varying states of exhilaration and terror is infectious. The satisfaction of landing them safely on Mun is fantastic, only matched by the utter crushing disappointment of failing and smearing your (not so carefully) constructed vessel across the landscape. On top of all that, it’s not just space you can explore, if you want to take a break from that. You also have the parts needed to construct aircraft and very rudimentary boats, if that’s your thing. 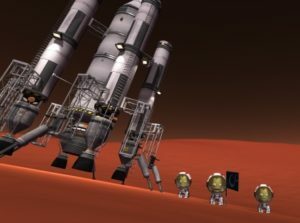 Personally I’ve gotten a huge amount of enjoyment from this game, and would recommend it strongly to anyone with an interest in space travel. Seriously, check this one out. I can’t agree with this more. Even as a filthy casual, I found this game incredibly satisfying!